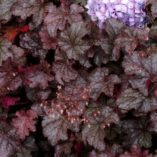 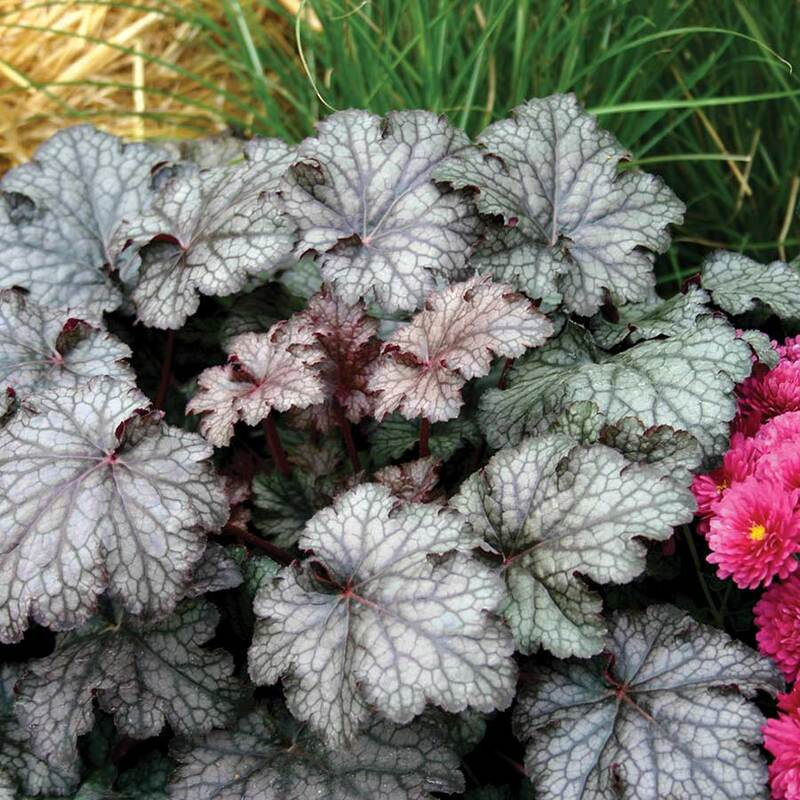 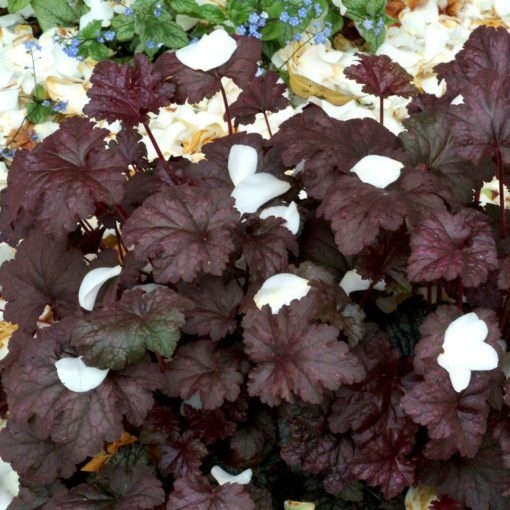 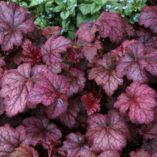 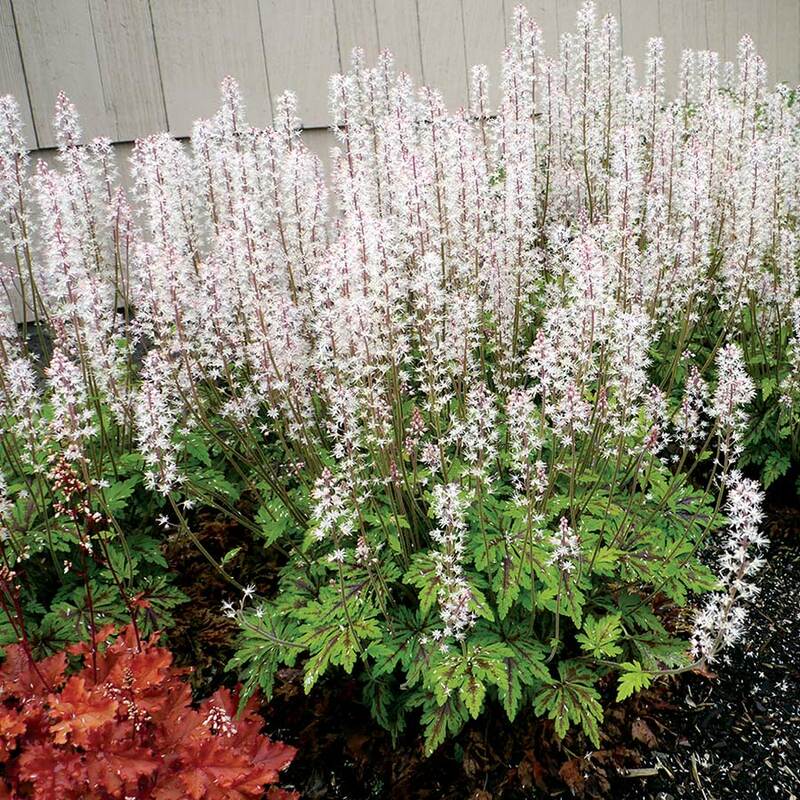 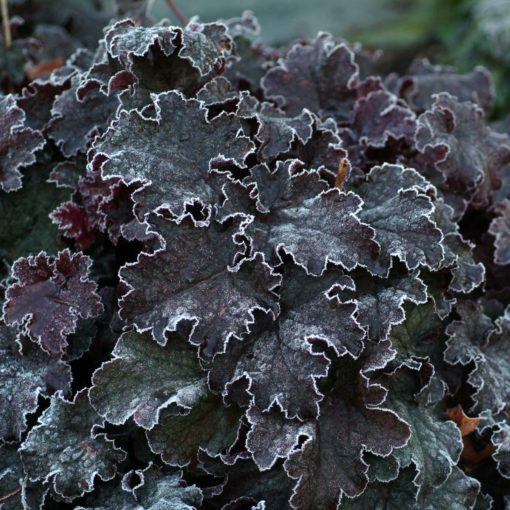 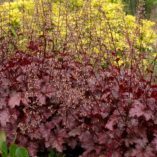 Heuchera ‘Amethyst Myst’ | TERRA NOVA® Nurseries, Inc.
A cool fog of silver settles over the stunning amethyst foliage. 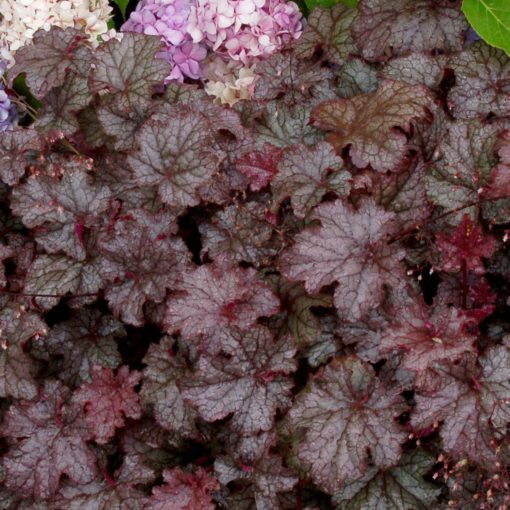 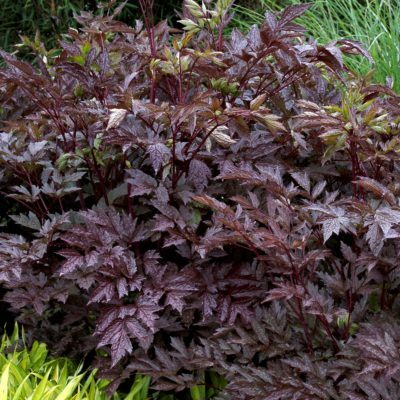 This glossy-leafed, heat and humidity tolerant, vigorous clump can achieve an impressive 24″ across. 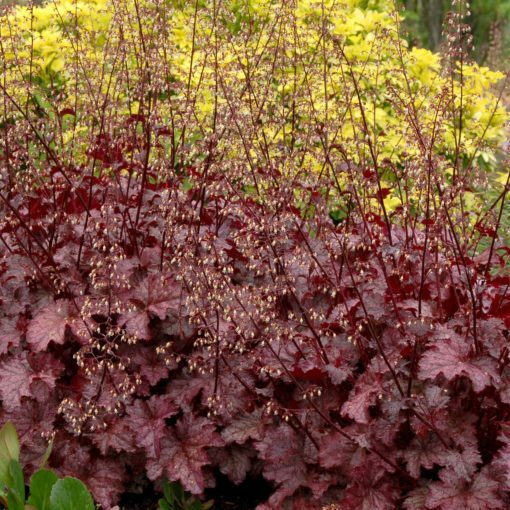 Both size and color make this Heuchera stand out in the spring garden. 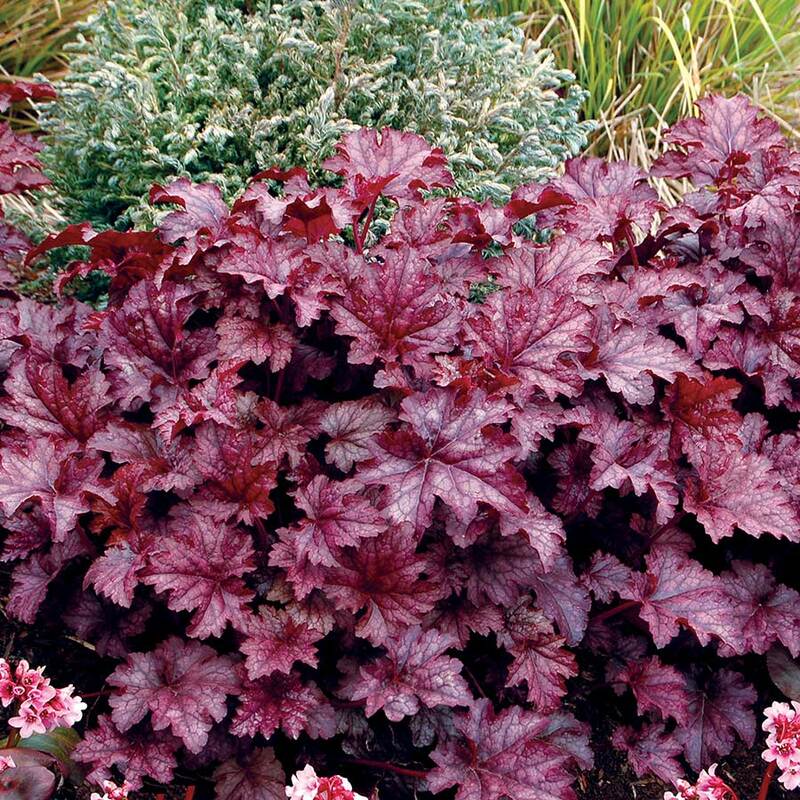 The more you grow this plant – the more you admire it. 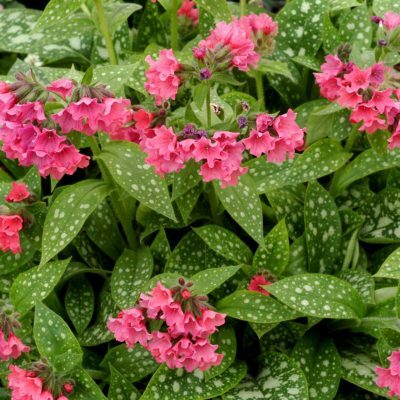 H. americana breeding gives heat and humidity tolerance. 10" / 18" / 26"
'Amethyst Mist' is still one of the best spring purple leaf types for the landscape, with bigger leaves that 'Plum Pudding'. 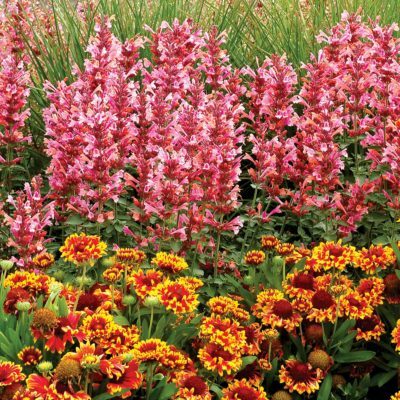 Mass, mixed beds, early spring bright purples, mixed container. 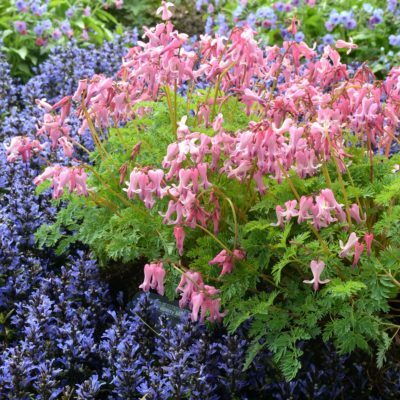 Be careful not to bury the crowns when planting. 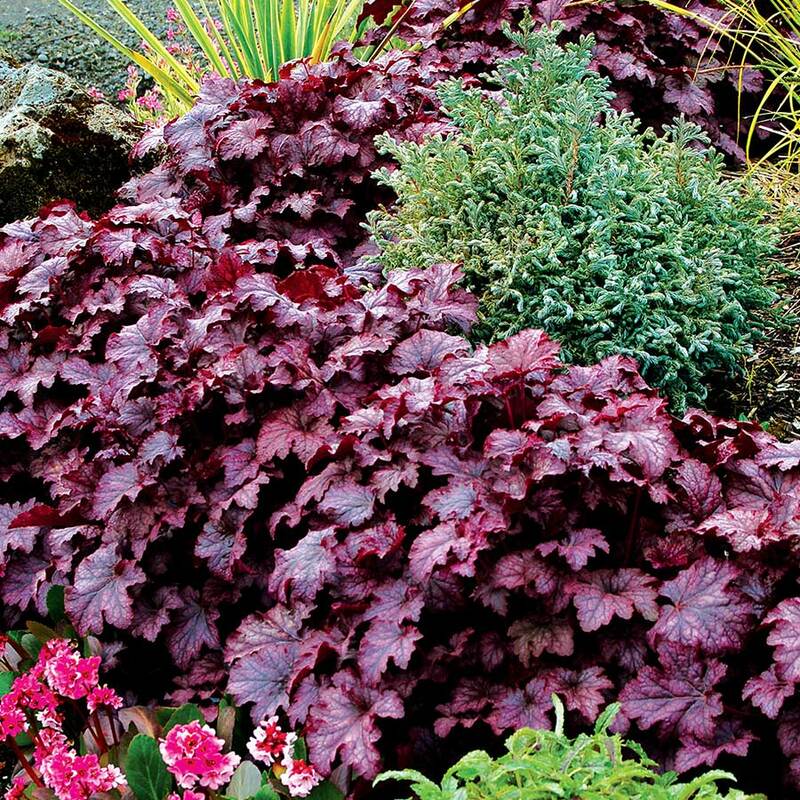 Plants are more compact and the color more vivid if grown in full sun.